While many Indians keep their fingers crossed for the sake of American Dreams, some pursue their Indian Dreams and manage to hit the jackpot eventually. One of them is a Pune chaiwala who sells a few thousand cups of tea every day and earns INR 12 lakh a month. Amazing! The story of Navnath Yewle chaiwala in Pune City is an interesting story of desi entrepreneurship. How he gives a tough competition to the highest paying jobs in the world. Selling tea is Navnath Yewle’s family business started by his father, Dashrath Yewle in 1983. At the age of 16, Dashrath Yewle shifted to Pune from Purandar, where a new airport named Chhatrapati Sambhaji Rane International Airport is coming up by 2023. He started selling milk to earn his bread and butter in Pune. Eventually, he took a shop on rent and sat up a tea stall which is popularly known as Yewle Tea House in Pune and outshines the highest paying jobs in the world. With hundreds of customers pouring in for tea, Dashrath added snacks to the menu. After his demise in 2001, the journey was continued by his sons who have made it bigger than their father. Today, Yewle Tea House in Pune has three outlets; each having 10 to 12 workers. Navnath Yewle having an entrepreneurial bent of mind eyes on setting up 100 outlets across the city and plans to enter international markets. He took over his father’s tea stall and transformed it into the brand ‘Yewle Amrutalay’ over a few months of research on target audience and marketing. He spent a few months standardizing the process of making tea using the ingredients in the same proportion at all of the outlets. The water with tea leaves is boiled for exactly 7 minutes, and the milk is boiled twice before it is used. The two-time boiling of milk gives the density and texture that Yewle tea is known for. 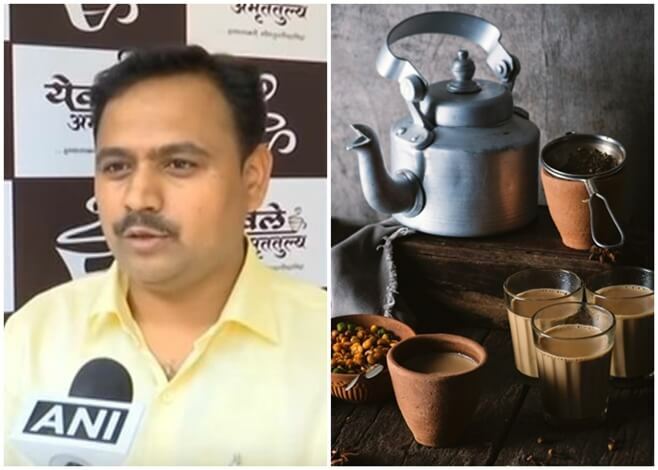 Inspired by Indian Prime Minister Narendra Modi’s rise to political power from selling tea, Pune’s Navnath Yewle chaiwala looks upon the tea selling business as not only a thriving means of sustenance for himself but also a good source of employment for others. He agrees with PM Modi’s view that there is nothing mean about selling pakoda, which is also an employment in India. Happy with the increasing popularity of Yewle Tea House in Pune, Navnath Yewle is planning to open 100 outlets in Mumbai, Nagpur, Nasik, Satara and the rest of Pune City over the next 5 years. The expansion will generate employment for more than 10,000 people, according to him. Initially, Dubai and Bangkok are his preferred international markets for business expansion outside India.